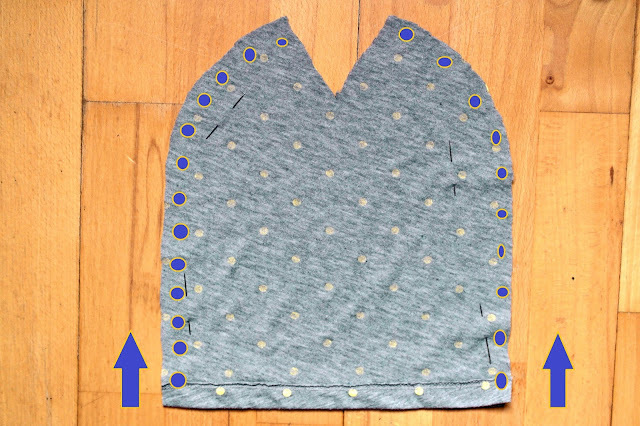 I noticed that we didn't show you any t-shirt tutorials last month! 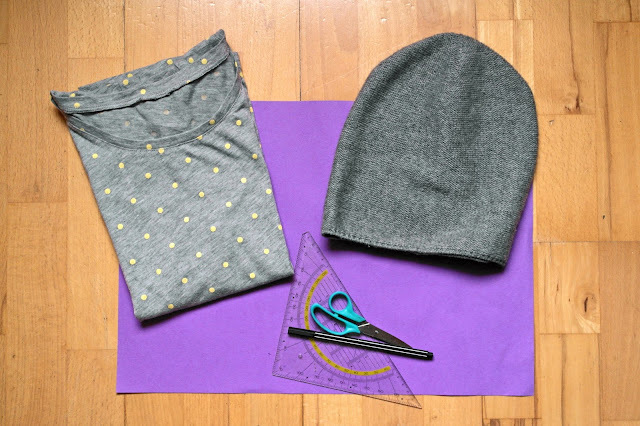 This is an easy t-shirt to beanie tutorial and I think it is one of my favorite projects ever. I wanted to have one of these beanies for a long time, but never found one I really liked. 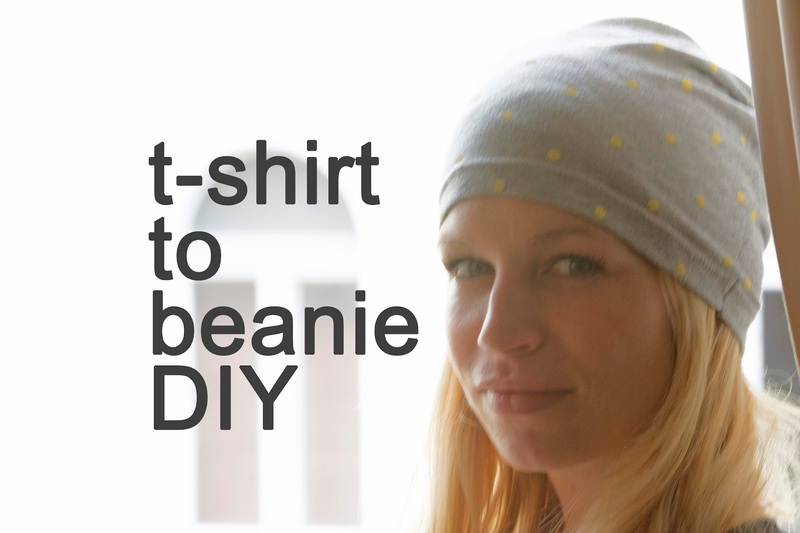 Today I realized how easy it is to make a summer beanie out of any old t-shirt. 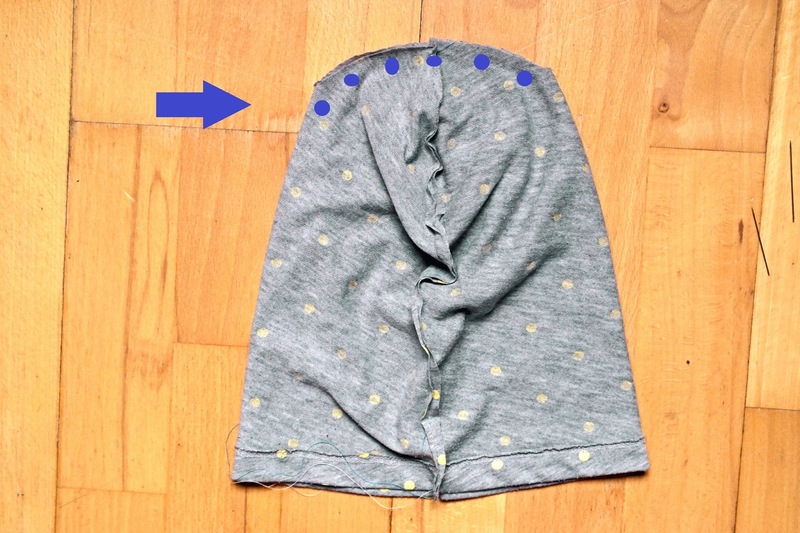 Why you need one in summer? 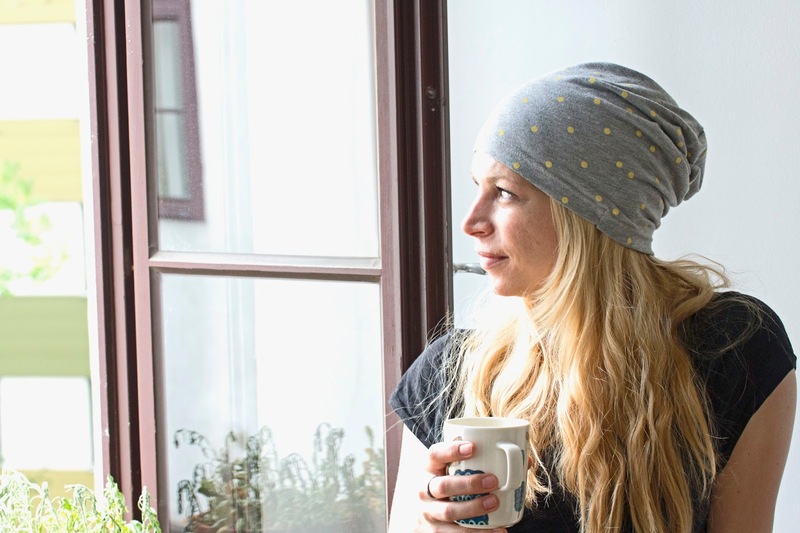 Think of hiking, evenings at the campfire.... when you travel, always take a cap with you! By the way, no this is not an angry face you see on the picture, this is my 'I think I'm smiling/trying to have my eyes open while smiling/fail at smiling' face. 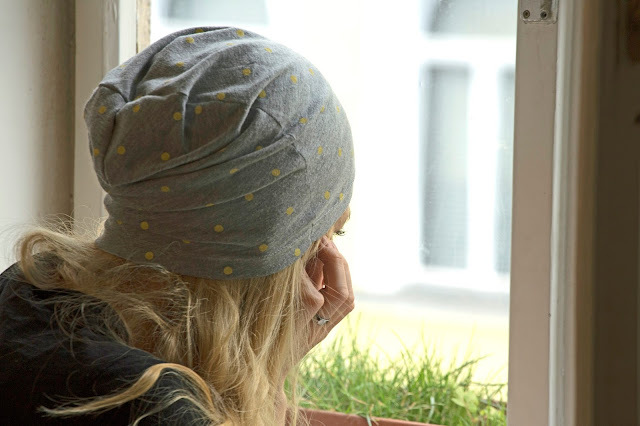 I thought it is kind of a nice pic anyway. There you go. Fold both the paper and the cap in half. Place the cap on the paper and draw the outline. 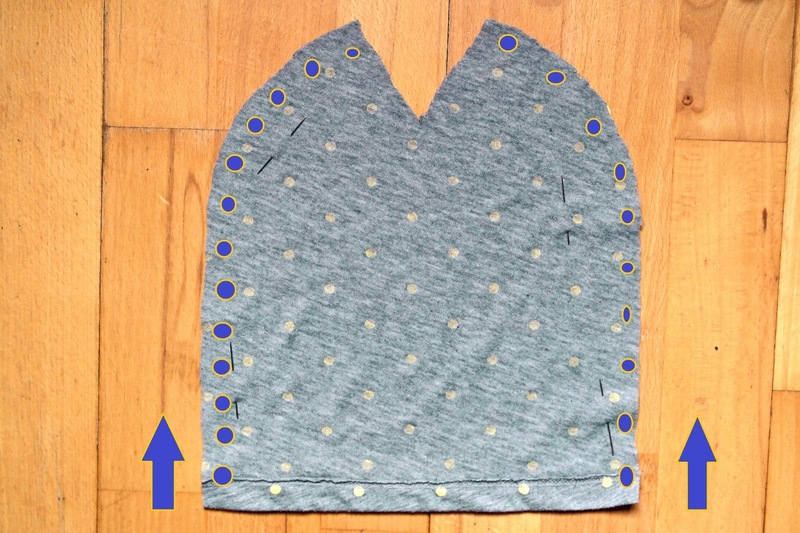 Cut out the pattern, turn your shirt inside-out and place the pattern on the bottom of the shirt. 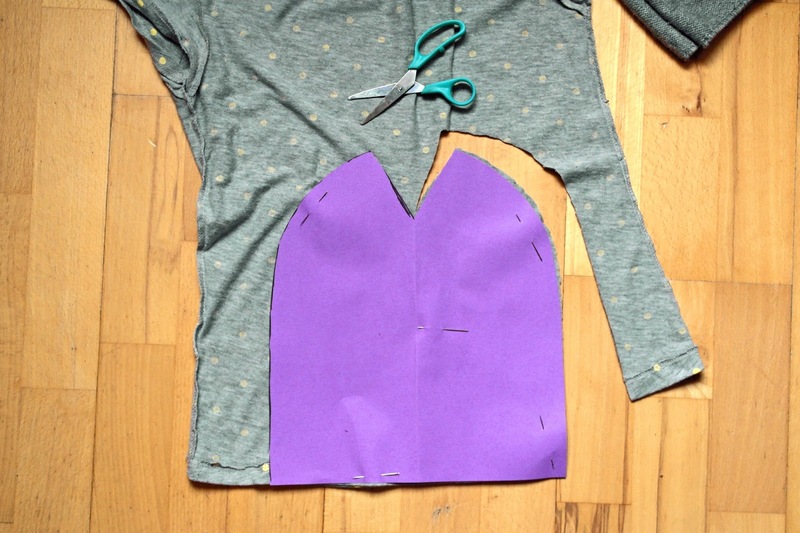 Pin the pattern to the shirt and cut it out. With your sewing machine, sew both sides together, stopping where the 'v' part in the middle begins (follow my super artistic dot line). 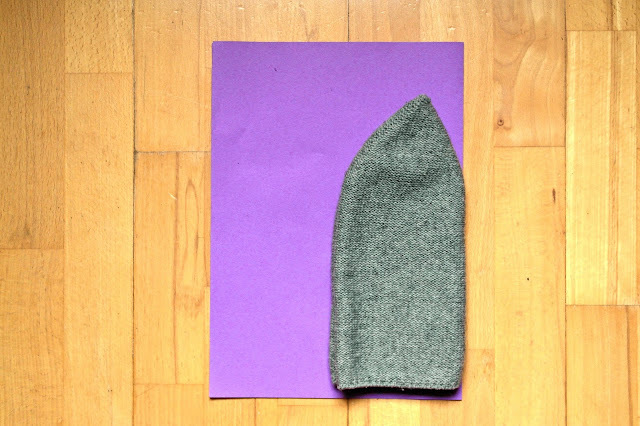 Fold the beanie in half, so that the seams lie on top of each other. 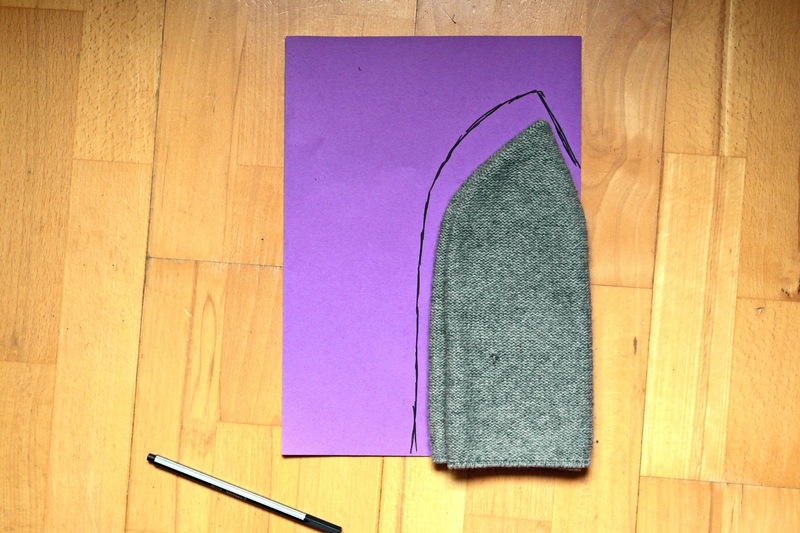 The 'v' then turns into a nice round top for your beanie. As a last step, sew the top together. 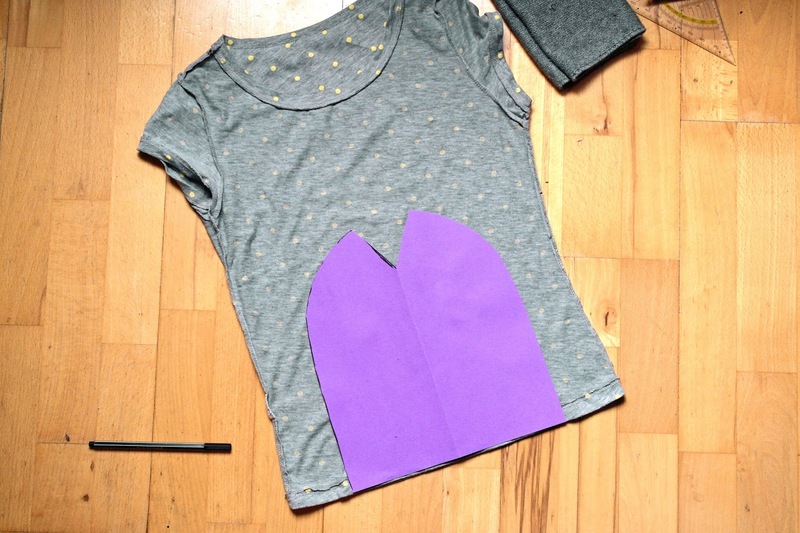 Still can't believe how easy that was. I'm gonna make gazillions of these beanies, Think about the possibilities!